With a full and comprehensive range of products covering just about every health and beauty concern at Superdrug – this high-street store has got you and the whole family covered. With goods for men, women, teens and babies too - this is where you can find a dedicated category for mother & baby alongside Haircare, Skin, Electricals and more to make for a truly strong catalogue of products. This is where you can browse every range down to the finest detail and choose your favourite brands or discover something new. If you're looking to kickstart your skincare, at Superdrug you can shop by skin ailment and all of your skin needs. From eczema prone skin to those wanting a fake bake - it's easy to find goods for your face and body to suit your specific skin type at Superdrug. With fragrances for men and women, plus electrical goods like toothbrushes, hairdryers and more to suit the whole family - Superdrug is that perfect fit to help you update your beauty regime for less. There is an Online Doctor available too, so you can even pick up prescriptions online, or access helpful medical advice on a wide variety of issues. Now you know you're shopping with the experts. 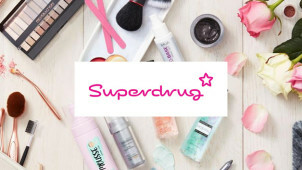 Create a Superdrug account to stay up-to-date with the latest offers and beauty tips, all-year round! Students can get a discount in-store by showing an NUS card along with a Superdrug Health & Beautycard. Where is my nearest Superdrug? You can use the handy Store Locator online to find a Superdrug near you. Does Superdrug offer free delivery? Delivery is free on all orders if you have the Superdrug Health & Beauty card or if your order is over £10. Otherwise it costs £3, there is also the Order & Collect option which is free - see the Delivery Information page for further details. How can I update my details for my Health & Beautycard? Once you are registered, you can update your details online if you need to by logging in. Alternatively, you could give the team a ring on 03456 710 709. Click and Collect is also free. Most items can be returned within 28 working days - just return items in their original packaging and include the free-post label that was inside your order. You can also reach Superdrug via the online contact form.